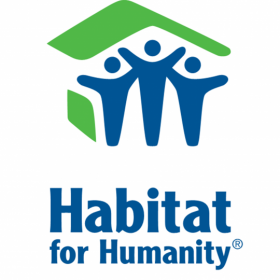 Manages all aspects of Habitat’s construction and home repair projects. Teaches, coaches and leads a diverse group of enthusiastic staff and volunteers who possess the broadest possible range of skill levels, providing excellent volunteer experiences. Lead on-site construction efforts on active build days, including directing up to 20 volunteers at one time in a safe, fun, and high quality experience on site. Oversee and manage affiliate’s partnerships with Evergreen School District. Evaluate and oversee home repair program projects. Ensure that the Affiliate’s Safety Policy is followed on the construction site and is updated as needed to comply with regulations and best practices. Train, coach and supervise assigned staff and AmeriCorps National Direct members, including creation of work plans and conducting performance reviews. Host the volunteers, ensuring they have an excellent experience on site. Identify and develop systems and resources needed to meet production goals established by the affiliate’s strategic plan. Regularly review and adapt (if needed) affiliate building methods to reflect current best practices, with particular attention to: current HFHI standards, affordability, volunteer friendly, sustainability and accessibility/universal design. Identify needs related to Land acquisition and development; work with Executive Director and Land Acquisition Committee to develop related plans. Valid driver’s license and ability to travel as needed. Access to a car is required to fill some of the duties of this position. Salary range, $40,000 to $45,000, dependent on experience and skills. Benefits include paid medical and dental insurance, paid holidays, and paid time off.